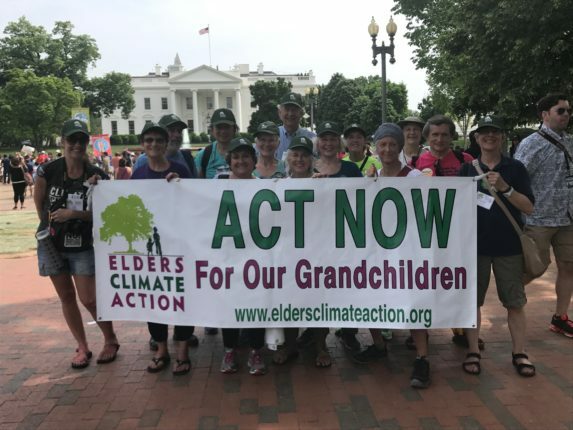 Elders Climate Action is building a non-partisan movement of elders committed to making our voices heard. We are determined to change our nation’s policies while there is still time to avoid catastrophic changes in the earth’s climate. 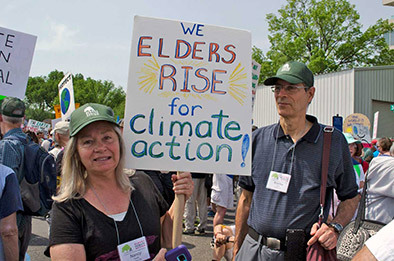 Get Inspired by the members of Elders Climate Action who are taking action on climate change. 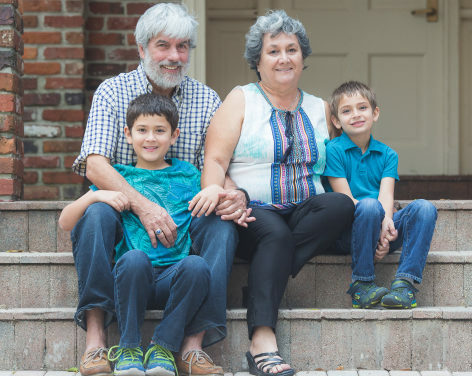 We are parents, grandparents, aunts and uncles, just like you, hoping to make a difference on climate action. Get Informed. 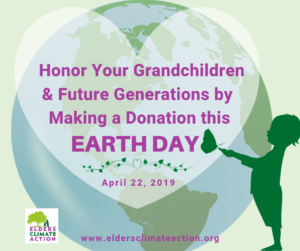 Learn more about Elders Climate Action’s core policies and principles, access the ECA Action Tool Kit, watch webinars and videos, find climate related links, and explore what you can do with your grandchildren! Get Engaged! 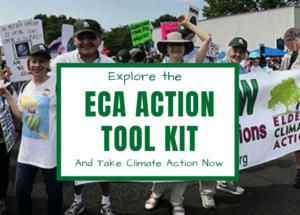 Take Action with ECA. Learn more about ECA Chapters, find events, join our actions, national calls and more. ECA is a great way to build connections in your area and make new friends. Access Easy Tools to Help You Engage in Climate Action Today! Choose from a number of custom letter templates to Federal and State Representatives, add your personal message and contact info and send. It’s so easy! Elders Promote the Vote aims to significantly increase voter demand for environmental leadership by identifying inactive environmentalists and then turning them into consistent activists and voters. Join us and help mobilize voters! 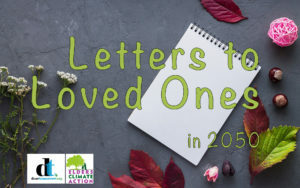 Take a moment and write a letter to your loved one, grandchildren or great grandchildren and let them know what you did when you realized the significance of climate change. Explore the ECA tools and resources we’ve created to help you represent ECA in your community. Take action on climate change on a local, state and national level – from your home, or out in your community. Make a Gift to ECA in Honor of Someone Special this Earth Day! The time for climate action is now. Make a gift to ECA in honor of someone special and let them know you care. Send an email or printed card to tell them you are committed to taking action on climate change. Get engaged. Bringing awareness to elders about various climate related issues. Did You See ECA in the USA Today? Read the current or previous editions of our Elders Climate Action newsletter. 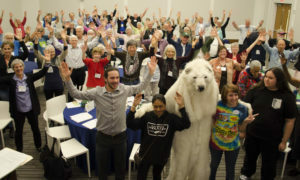 Our newsletter is produced by a committee of dedicated volunteers committed to bringing you highlights of Elders Climate Action members and chapters as well as up to date climate information.